As most of you know, APW was on Spring Break last week. We expected this to be a sort of theoretical spring break, where we sat at our desks and worked hard on strategy, but it ended up being a very literal Spring Break. Maddie and I were asked to speak at Alt Summit last minute (like three days notice) and headed down to Palm Springs for the week. We ended up doing a whole lot of work on business strategy (just in sunny classrooms and by the pool), and have come back with a ton of new ideas and lots to work on. It’s been a tough year for media. In January 1,000 folks in media lost their jobs in New York City in the span of a week, including some people we dearly love. And independent publishing has been in a tough place over the last year, with multiple websites shuttering. Rookie’s Editor’s Letter announcing their closing pretty much says it all. Sometimes I think we do a disservice to readers by not being transparent about what it takes to run an online publishing company in 2019. With so much free content floating around, it’s easy to think that creating content is cheap… and it’s anything but. Our articles and Instagram posts may look casually tossed off, but creating them takes a huge amount of staff time. We work hard to pay our staff living wages with health benefits, which mean that staff time is expensive. And unlike the days when I ran APW off a (free) blogspot account on my kitchen table, keeping a website running within Google’s standards is pricey and time consuming. Add to that the fact that ad revenues have been steadily declining for years, while the quantity and quality of work that advertising partners expect from publishers has gone steadily up, and, well, there is a reason people are closing up shop. Making any money at all is very hard, sometimes impossible work these days. But in the meantime, I did want to give you a bit more context about how your content gets made and how we can all ensure that APW continues to stay on the internet. I won’t bore you with the minutiae of our operational structure (aka the six or so people who bring this website to life each day), but suffice to say, they’re awesome and vital to this publication. Which means in order to get our bills paid, our whole website is supported by advertising. You may have noticed the display ads, sponsored posts, or vendor directory in your adventures around the site. All of that is what keeps the lights on (literally and figuratively) at APW. Support our sponsors: Hire your wedding vendors from sponsored posts and the vendor directory. (And tell them you found them through us. I can’t tell you how often our sponsors assume that we aren’t sending them business, simply because their clients didn’t mention APW when booking… even though they found their vendors here.) Advertisers pay a flat fee to advertise on the site (or have a free listing in our vendor directory), so telling them you found them on APW doesn’t cost them money, it just lets them know their advertising dollars are working. 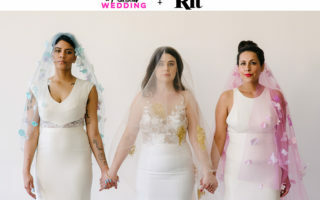 Side note: We’re currently working on an initiative to make sure we’re still bringing affordable wedding pros to the front page. If you’ve got a small business in the wedding space and are looking to level it up, email keriann (at) apracticalwedding (dot) com for more info. Support our corporate partners: Our corporate partners track every click and purchase you guys make through the site. And those links never expire. So if you’re going to create a Squarespace website, please click an APW link. (Side note: Squarespace is far and away our biggest advertiser. They’ve been with us going on five years and are incredible advertising partners. They have been instrumental in helping us stay online, and clicking an APW link when you set up a Squarespace site helps that continue.) Also, every time you read sponsored content on our site, we’re able to make a case for our high engagement numbers, which helps us book more business. So even if you’re not buying, just window shopping can be a huge help. Click on the post, leave a comment, show some love. That stuff really really matters. Because here is the deal: Being able to pay for our employees health care, or give our freelancers medical leave when they’re in a life threatening situation—something that happened last year—is a big damn deal to us. And your clicks on sponsored posts, telling a vendor when you found them through our vendor directory, and white listing our site in ad blocker are the things that allow us to do that… or not do it. We very much depend on each and every one of you to keep our team members paid, and those small actions make a huge difference in us being able to do that. I am genuinely so grateful to the community we have here at APW. The real deal is that we wouldn’t have the advertisers we do if you guys weren’t already reading and clicking and buying and just fundamentally understanding that the work here we do is… work. And we’re eternally grateful to our corporate sponsors and the small businesses who trust us with their ad dollars. I’m glad that we get to continue bringing you the content and community that has allowed APW to be one of the last remaining wedding publications on the internet (and actually now the number one independent online wedding publisher in the English language, at least in terms of eyeballs). And as always, please feel free to leave your comments below or email us at team (at) apracticalwedding (dot) com. We see you, we appreciate you, and we’re so glad to be here, eleven years later—as of this week. Happy Eleventh Birthday, APW. We wouldn’t be here with out each and every one of you. Do you think celebrating debt freedom is gauche? Next time someone complains to you about those teenage Millennials, remind them that Millennials are now in their thirties. If you don’t have time to catch up on the previous seasons of Game of Thrones with a binge session, read this recap instead. I may be using this list of the fifty best episodes of The Twilight Zone as an excuse to watch them all on Netflix. I’m totally using this spring capsule wardrobe as inspiration.